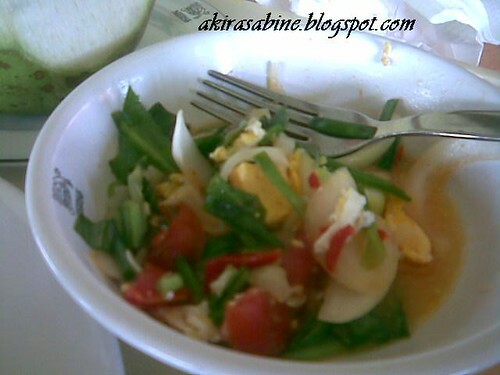 I'm thinking this is a better picture of the Thai salad I previously blogged about. 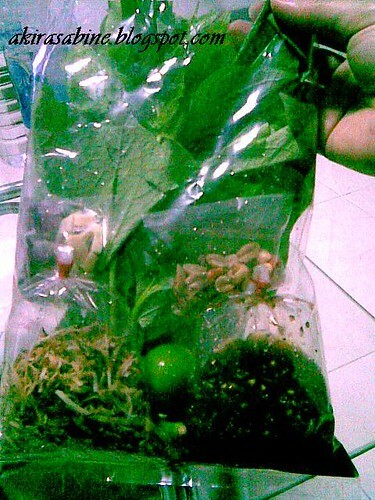 Here, you can see the ingredients that make up the flavourful salad. 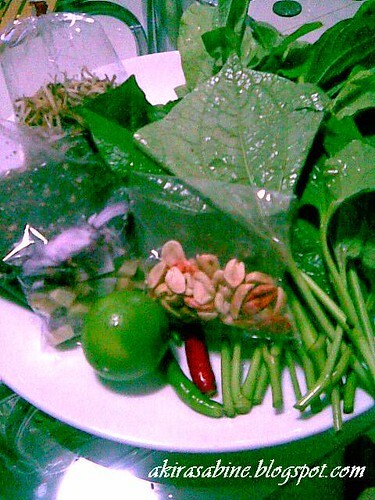 Hopefully, you don't skip the chilli padis or what they call 'paprik' in Thai. Phet mak mak na. This is what I have at my office canteen in BKK. 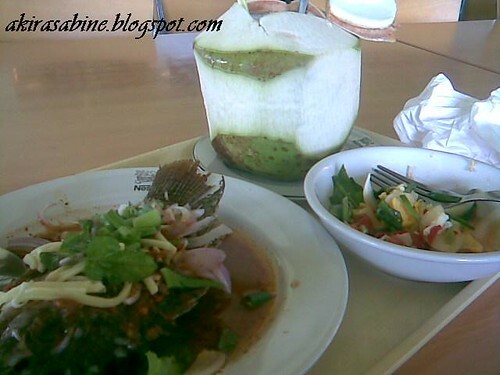 My never to be missed Ma Phraw (coconut) with fish and another variant of Thai salad. 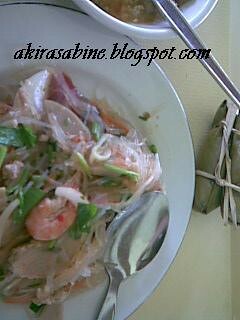 Glass noodle salad with prawn and sliced frankfurters. This is definitely no Thai food. 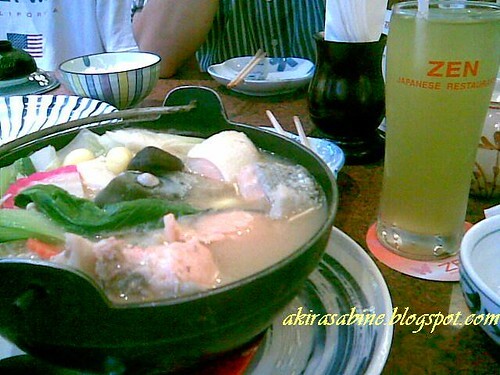 The oh so comforting soup the way I like it with smooth Jap tofu, Shitakemushrooms, Inoki mushrooms, glass noodle, gingkos, green veges and fish fillets. 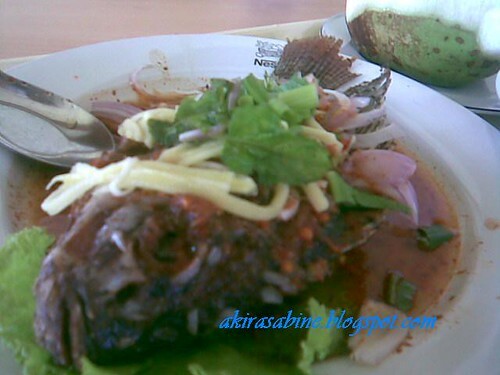 Mmm... the food in Thailand always looks good. I am only worried about the spicyness as I cannot take too much chili. 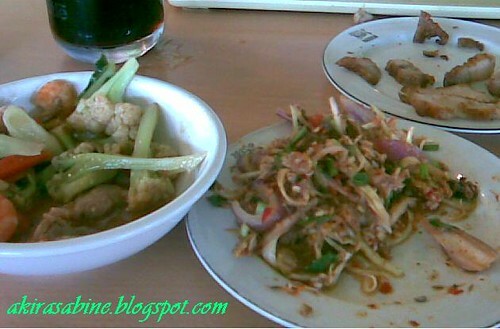 Yea,even plain stir-fried veggie never go without the baby chillis in the Thai cuisine. However, their version of dessert is a little too thick and sweet for my taste. 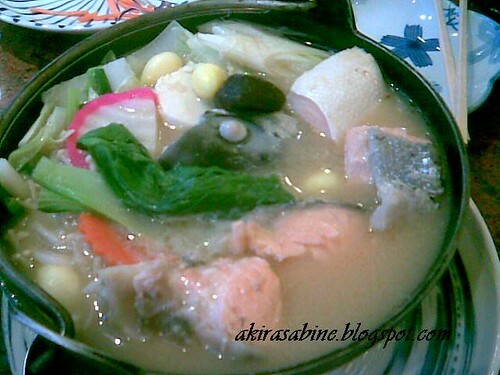 In cases you are not aware of, Thai love adding tablespoons of sugar into their noodle broth. Thanks for the pat on the shoulder!